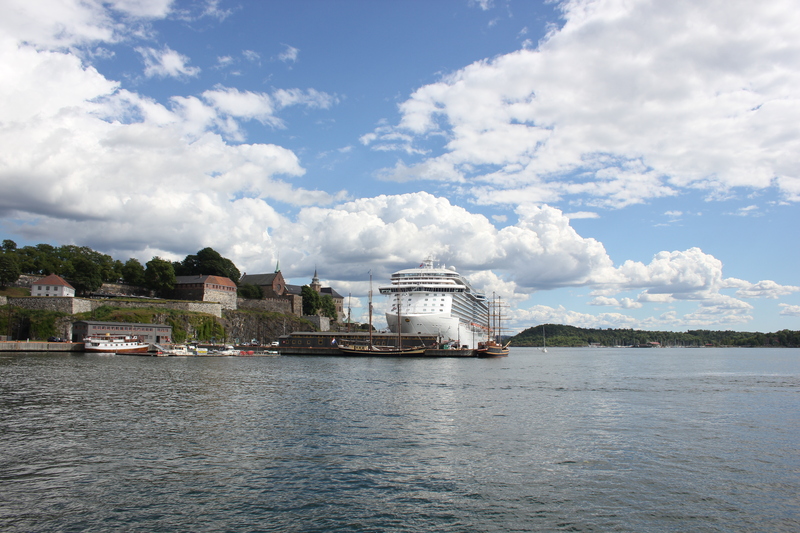 When we got the ferry back to Oslo from the Bygdøy Peninsula’s museums, we saw something that you see quite a lot of in Norway – a cruise ship. It was moored in the cruise terminal and dwarfed just about everything around it. These ships dock in the morning and let their throng of eager tourists off to explore. Towards the end of the day they sound long, booming horn blasts, presumably warning everyone to get back on board because the ship is about to set off again. I wonder what would happen if someone happened to miss the boat…? The next morning we walked over to the Akershus Fortress (which you can see in the background of the photo above). We stood on the walls and looked out over the harbour area. This morning a smaller cruise ship had moored itself in the terminus. It was tiny compared to yesterday’s, and a good thing too because we could see the vista behind it! And what a vista it was – beautiful! I could live on one of those islands happily enough, I think. 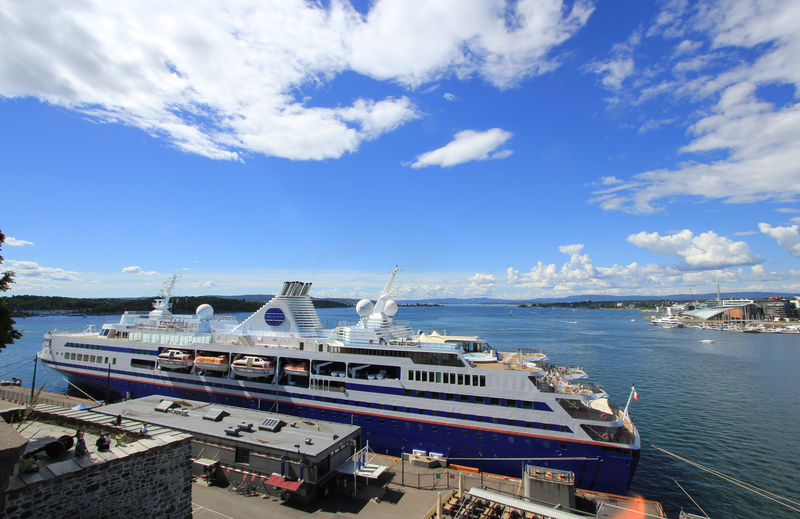 This entry was posted in Norway and tagged cruise ship, Norway, Oslo, travel. Bookmark the permalink. I love reading your Norway blogs – I visited in May and its bringing back all the memories! Its such a beautiful place. Thank you Tracey! It is one of the best trips we have done.